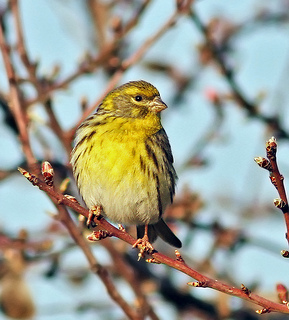 The Serin is a species that is not very common in western Europe. 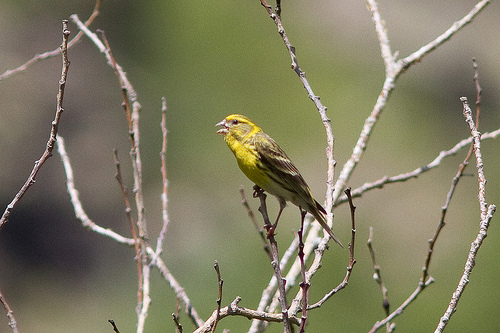 The Serin has a preference for coniferous trees and can be seen in parks and forests. The Serin has browner wings than the Siskin which has a yellow stripe on the wings. The tail of the Serin is brown, the Siskin has yellow on it. The Serin is smaller and browner. The Greenfinch combines yellow and green. The Serin has a yellow rump, the Yellowhammer has a brown back and rump.